Welcome to the mill, learn more about our wholesale FSC® certified mill and hardwood lumber products. We manufacture a full line of hardwood flooring, decking, deck tiles, railing, as well as rough sawn lumber and wood slabs. FSC® Certified lumber mill and wholesale hardwood distributor. We are one of the largest producers of FSC® Certified wholesale hardwood lumber products in South America. Being the direct wholesaler we can ensure that all of our lumber is responsibly harvested from managed forests in order to provide an endless resource for future generations. Our mill in Belem, Brazil consists of 11 kilns with a combined kiln drying capacity of 1,100 cubic meters (470,000 board feet) of lumber, a hardwood flooring production line, a Deck tile production line, and a hardwood decking production line.Our facility was completely overhauled and modernized in the spring of 2017 to include new offices, rebuilt kilns/boilers, and new production equipment. Our mill is FSC certified with three production lines capable of an annual production of 3 million square feet of hardwood flooring, 5 million square feet of decking, 2 million square feet of deck tiles and 7 million board feet of cabinet grade hardwood lumber. Advantage Florestal is owned by Rob Pelc, of Sarasota Florida. Rob is the founder and owner of several rapidly growing companies in various industries. This includes the highly successful Advantage Trim & Lumber Company which has customized and distributed hardwood lumber products since 1992. With over 20 years of experience in the lumber market, AdvantageLumber.com has more than 25,000 customers in the United States, Europe, Canada, The Bahamas, India, and many other countries around the world. AdvantageLumber.com has several large factories in Florida, North Carolina, New York, and California. 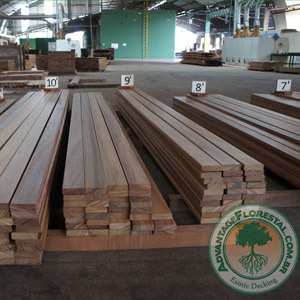 Our wholesale division, Advantage Florestal, also supplies hardwood lumber to wholesalers and distributors in various countries around the world. AdvantageFlorestal.com.br was founded in 2014 with the main objective of increasing production, improving production quality, and strictly monitoring the legal certification of all the products being shipped. We look forward to the opportunity to show you more of the Advantage difference!! 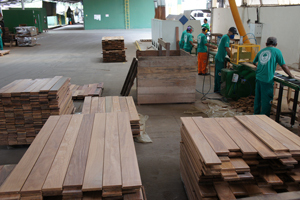 AdvantageLumber.com® owns one of the largest hardwood lumber factories in northern Brazil. 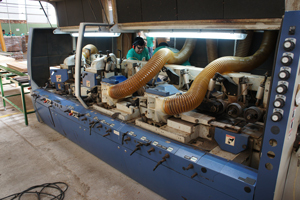 AdvantageLumber.com® has operated in the South American lumber supply chain for over 20 years. We manufacture flooring, lumber, and hardwood decking in species such as Ipe, Cumaru, Tigerwood, and Massaranduba. Many companies deceptively state that they control the process and own a South American facility, but we actually own the land and the machines. We own the entire process. We openly invite customers to tour any of our facilities. Before you purchase lumber elsewhere, request to inspect their inventory and observe their physical production facilities. 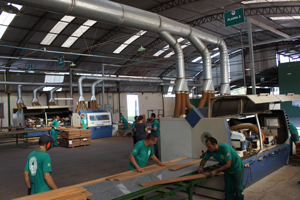 The Brazilian facility is proving to be a game changer for the hardwood lumber marketplace. AdvantageLumber.com® directly controls the supply chain from the forest to the jobsite. This allows us to offer even better selection, quality, and volume pricing. We run dual exhaust systems in order to conserve energy on our production line. 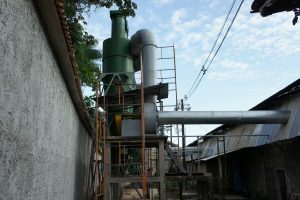 Another section of the dust collection system we use to capture sawdust at our FSC Certified wholesale lumber mill.